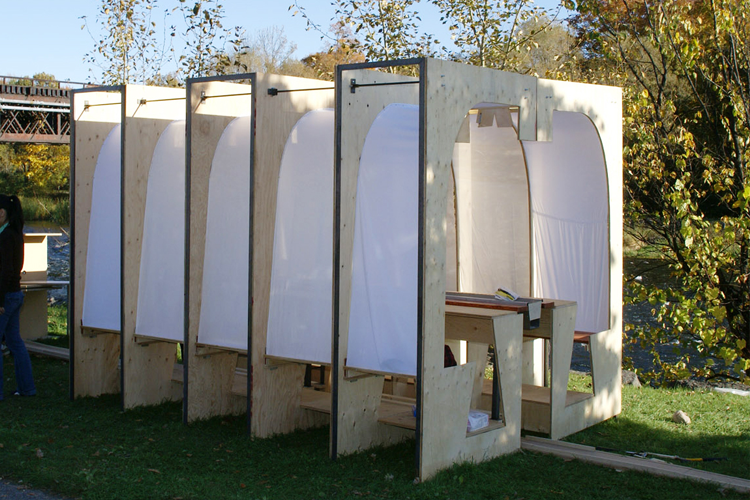 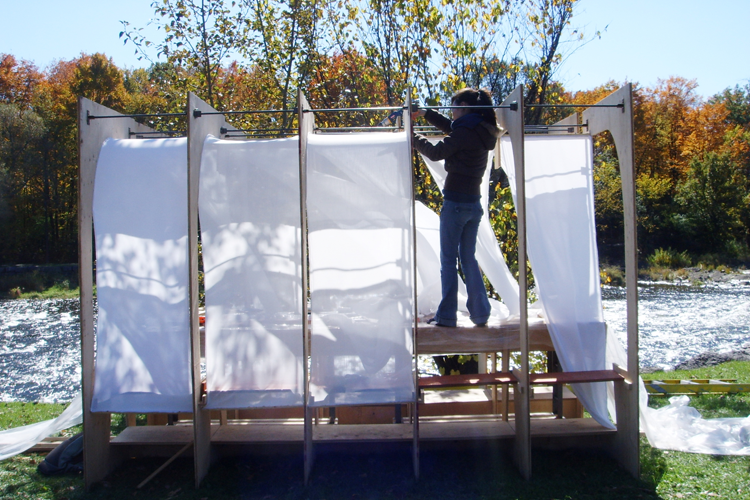 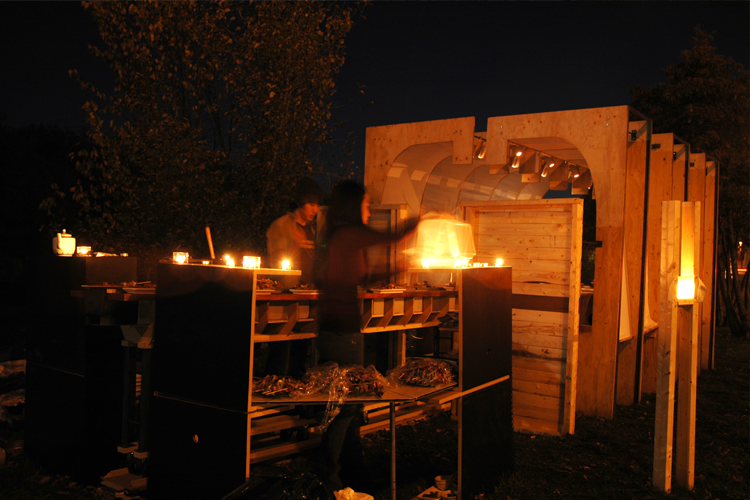 Design build project of a dinner pavilion that explored the creation of an intimate social event. 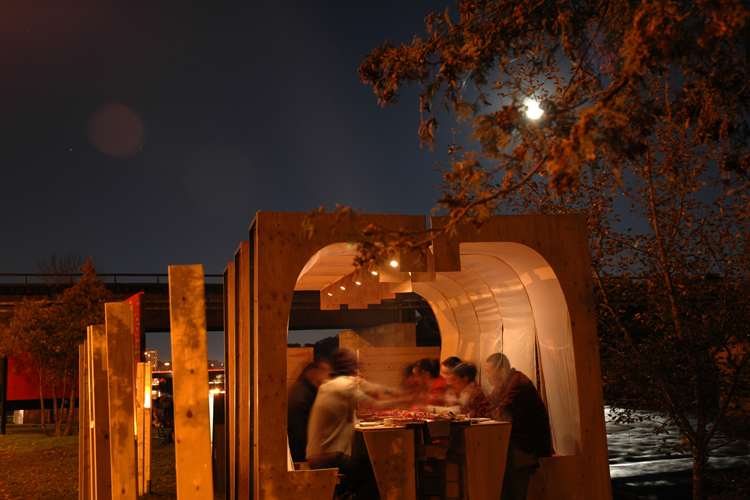 The structure is modular, combining seating, individual table setting, roofing and enclosure. 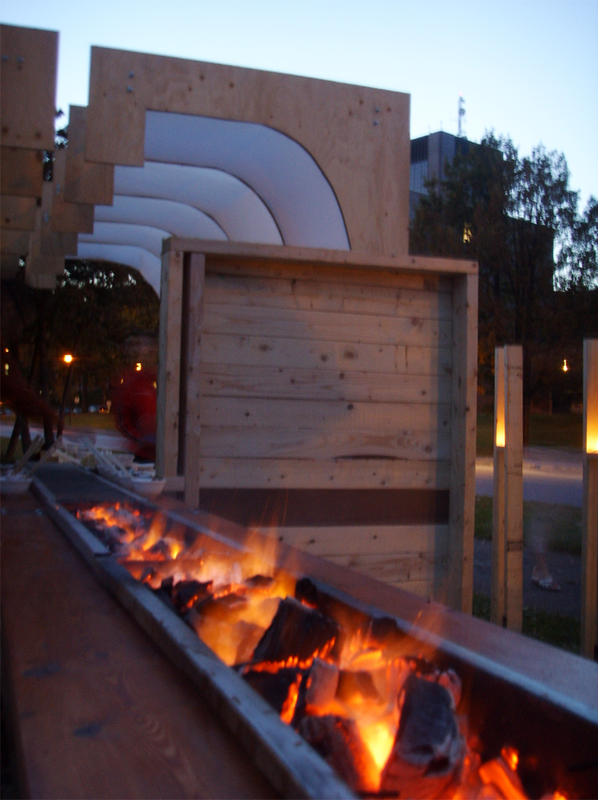 Inspired by Korean cooking, the main feature is a barbeque incorporated into a serving table that runs on a track, allowing for food preparation and plating in the back before a theatrical entering into the dining area. 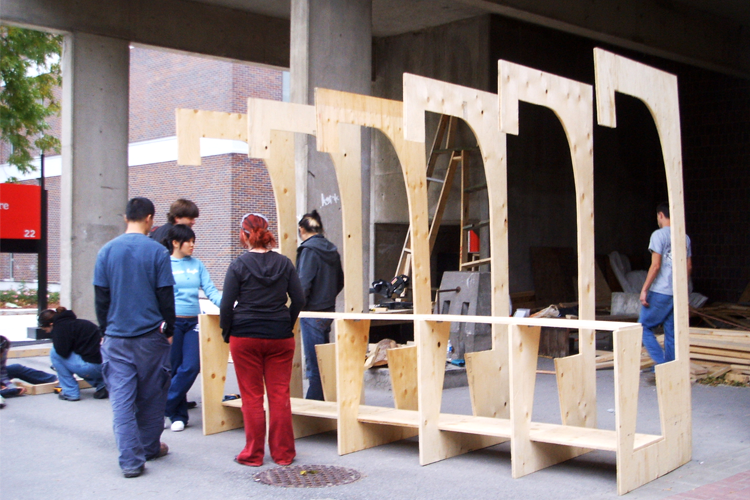 The project was designed and constructed in a team of seven students.